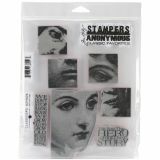 Stampers Anonymous Rubber Stamp Set 7"X8.5"
Stampers Anonymous Rubber Stamp Set 7"X8.5" - STAMPERS ANONYMOUS-Tim Holtz Collection: Cling Rubber Stamps This collection of stamps combines the fantastic quality of Stampers Anonymous rubber stamps with the amazing designs of Tim Holtz. 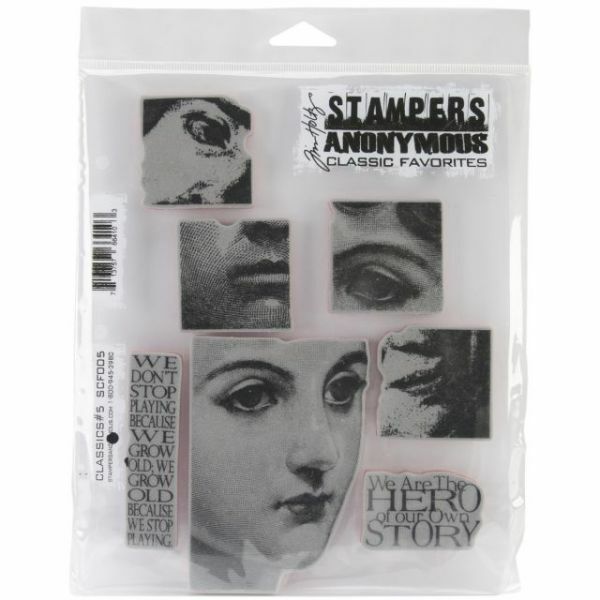 Each set of stamps comes mounted on an 8-1/2x7 inch sheet of clear acrylic which has been three-hole punched for easy inclusion into a storage binder. Available in a wide variety of design sets (each sold separately). Number of stamps per package may vary by design. Storage binder not included. Made in USA.